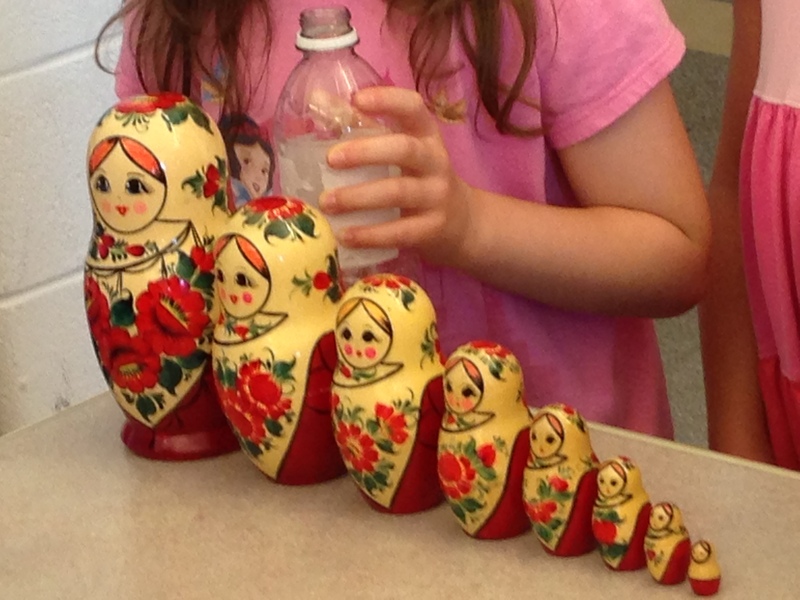 After teaching about different countries for 3 weeks, I turn the reins over to the kids. They get to pick a country of their choice to research and teach the others, and we have a World’s Fair on the last day. 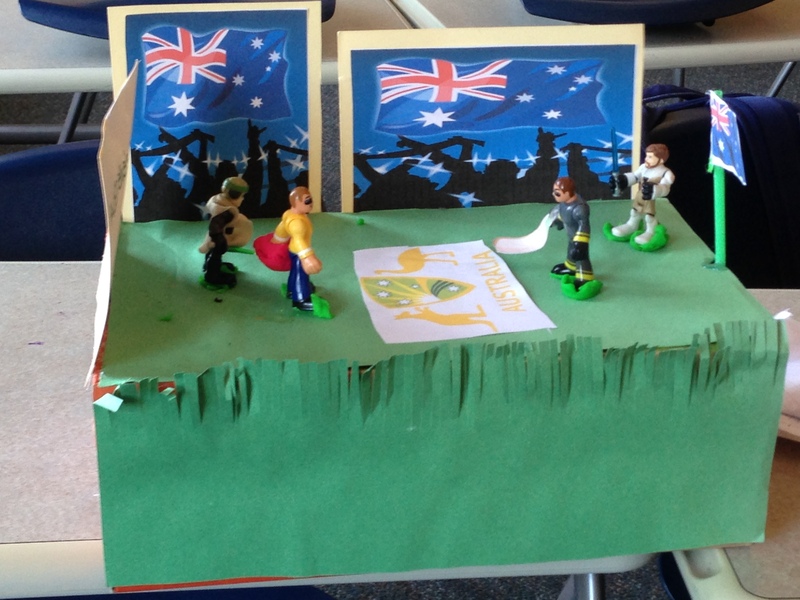 Some students choose their cultural country, and this year they went World Cup crazy! Students take complete ownership with this project as I step back to watch the magic happen. First we spend some time researching in the computer lab. We talk about research skills, what information to look for, and I give them some websites to get started with. I provide support during research and help finding information. Then, I give them work time to create a project-poster, activity or whatever else they want to do. It’s amazing how invested these kids become in their projects. They use the class time to research and work, but they also go home and continue working. Some students asked their parents for help with research, made crafts or activities at home, or brought in materials to use during class. 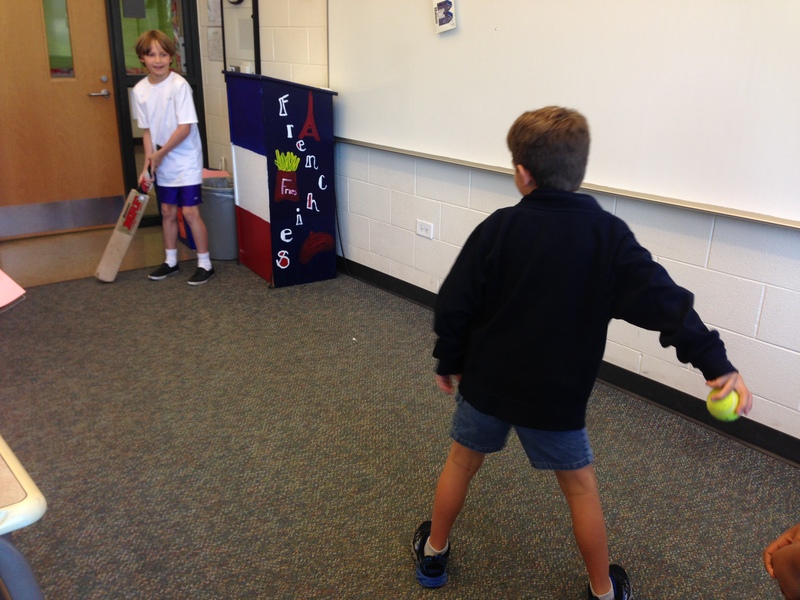 This year, the students went all out-bringing in soccer equipment, a cricket bat, posterboard, creating the game Pin the Tail on the Sheep, and building a diorama of cricket. The kids were also very supportive of each other while presenting, helping one of the kid’s read his notes or listening quietly while a shy girl shared her project. It is so rewarding to step back, watch them create, and be invested and excited about their work. I love hearing, “I don’t want summer school to end!” This goes to show, kids really can do anything. Kids never cease to surprise and amaze me. One of the favorite projects of the summer in my Around the World class is visiting Mexico and designing their own restaurant. 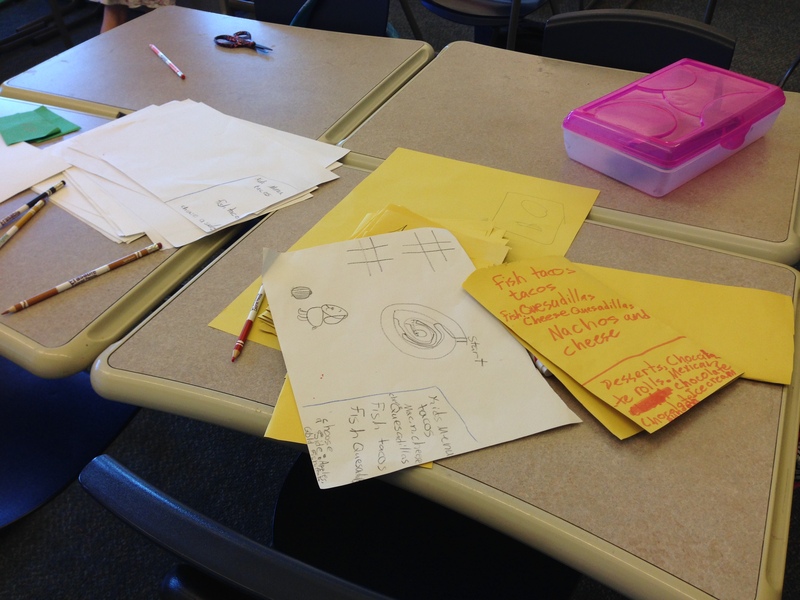 Students love coming up with a name, creating a menu, and designing the restaurant by drawing it or building a 3-d model. This is my fourth year doing this project, yet the first where the students have created interactive restaurants. A group of students asked if they could move desks to create their restaurant, and I said “sure”. Then they started creating “food” and money. The other group worked on creating multiple menus. As the day wound down, the restaurants were still being built and were closed for business. I told them we could continue the next day. As the students arrived the next day off the bus, they got started right away to set up their restaurants-before class officially began! 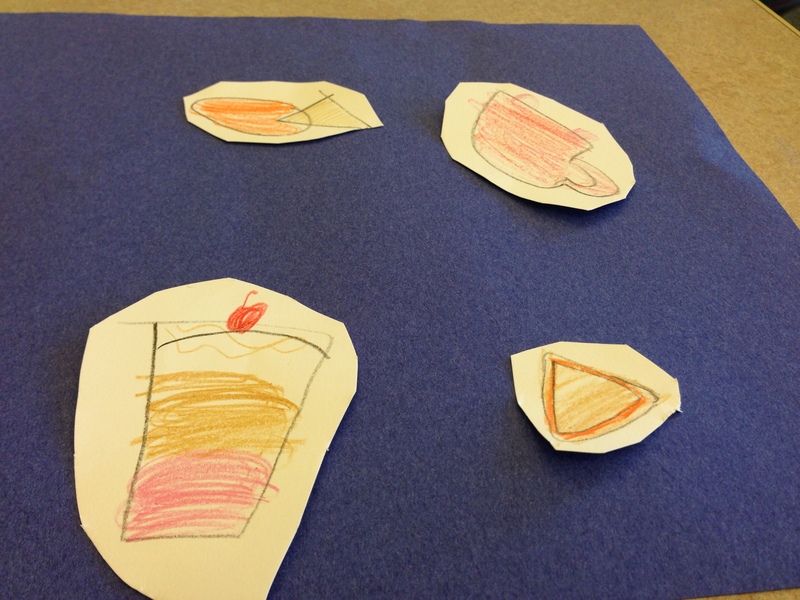 Students who had created other restaurants joined forces with the main groups. They got set up and opened for business. They each had specific jobs-manager, chef, cashier-and visited each other’s restaurants to eat. I had the pleasure of being served at both Expreso, where I ate nachos and a quesadilla, and El Espana Buffet, where I had chips and salsa and a taco. Some students switched their employment and they all worked together. These students are in different grades (most entering 2nd-3rd) and go to different schools (there are 4 elementary schools in the district) but have found new friendships this summer. I sat back and enjoyed watching them create and have fun. I also wonder how I can bring the same amount of energy and excitement to the school year. 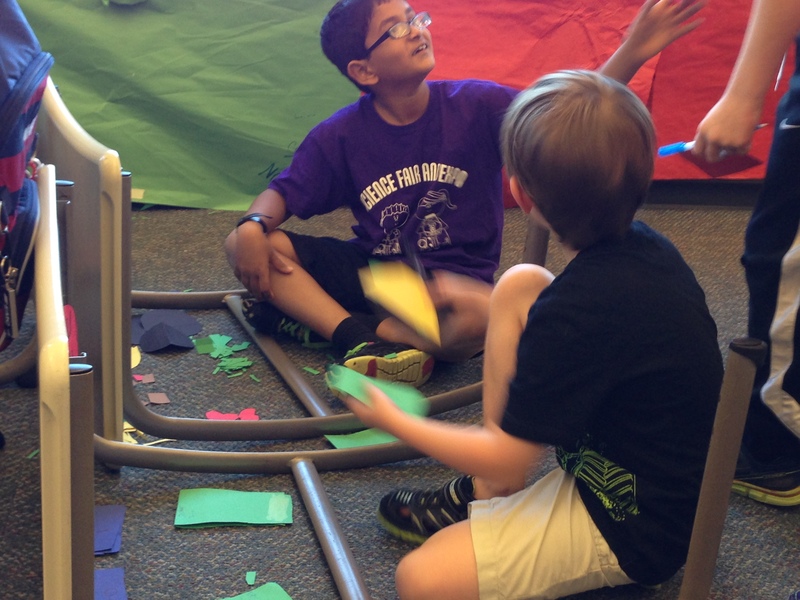 What do you do in your classroom that gives students the opportunity to explore and learn? Last week was one of my favorite weeks in my Traveling Around the World summer school class. Not only do we visit some of my favorite countries, but we also do some of my favorite projects. It’s really a chance for the students to be original and creative with no boundaries. it’s interesting to step back and watch what they do given no restrictions or requirements. Some struggle with that much open-endedness while others take off and thrive. We start the week off in England, where we build a famous double decker bus. Next, we go to Italy and discuss Michelangelo painting the Sistine Chapel. The students have to draw like Michelangelo. 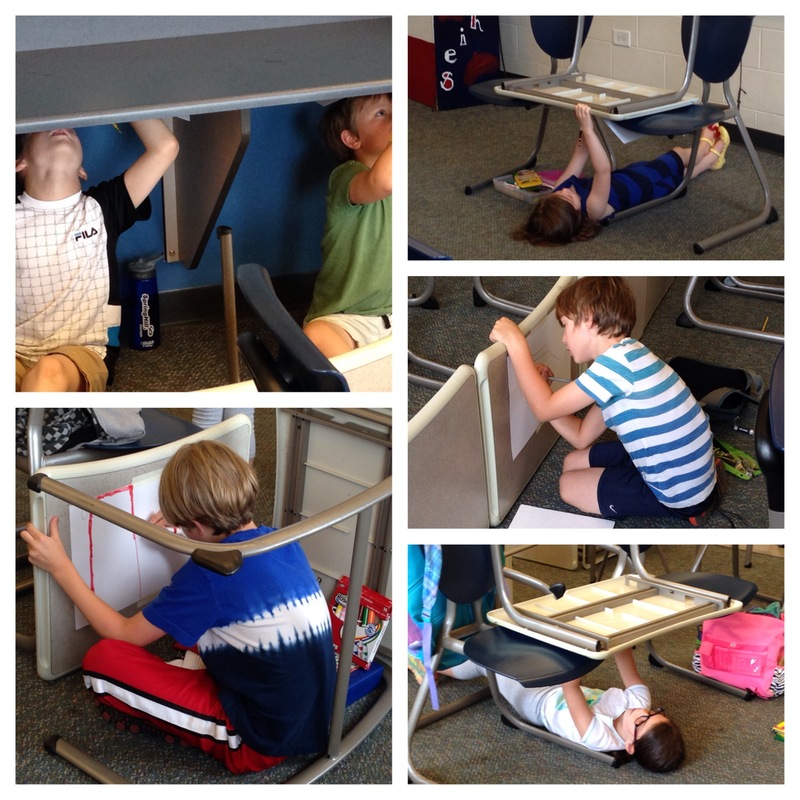 Unfortunately the bottom of the desks aren’t smooth, so students are able to flip and rearrange the desks to draw. The room becomes a “mess” of desks and the students are laughing while drawing because they never get to do that at school. We end the day making and enjoying mini pizzas, a favorite Italian food. The third day, we visit France, spending most of our time at the Louvre in Paris. 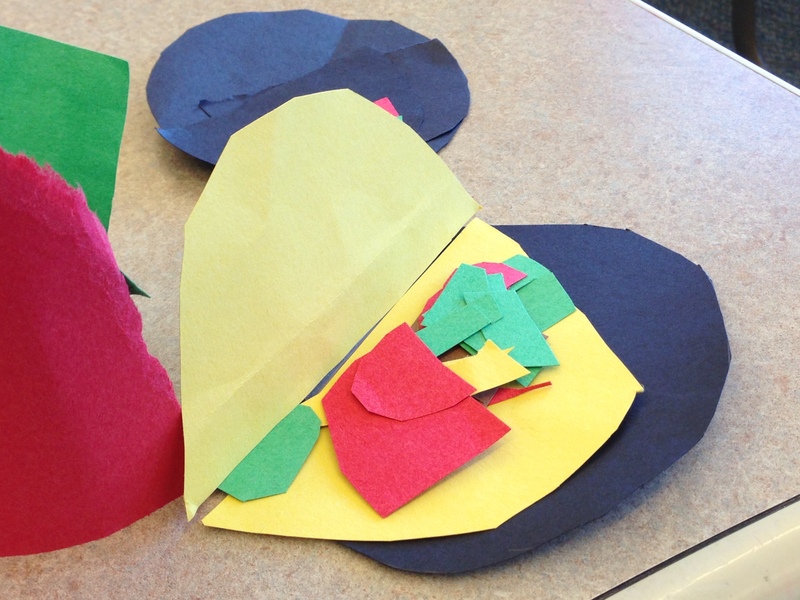 After discussing the different exhibits in the museum, students then have to make a 3-d piece to go inside the museum. 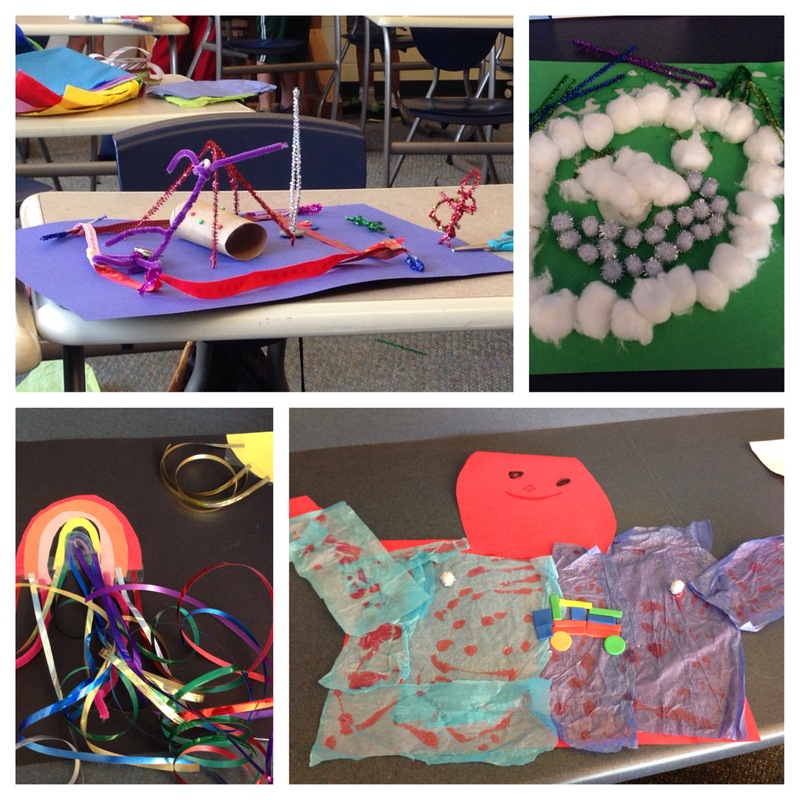 They are given a variety of materials, such as construction paper, ribbon, pipe cleaners, toilet paper rolls, and buttons, to create their masterpieces. 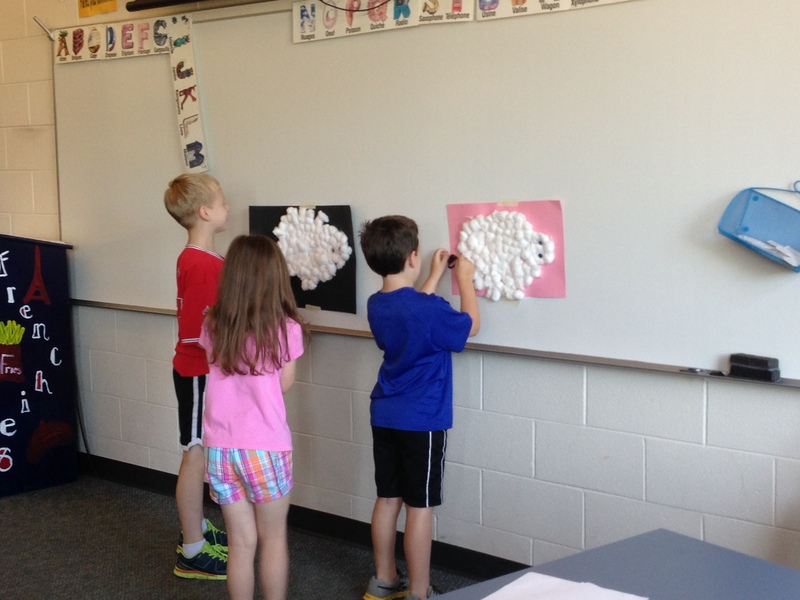 When they were finished, we took a gallery walk around the room so students could share and explain their artwork. 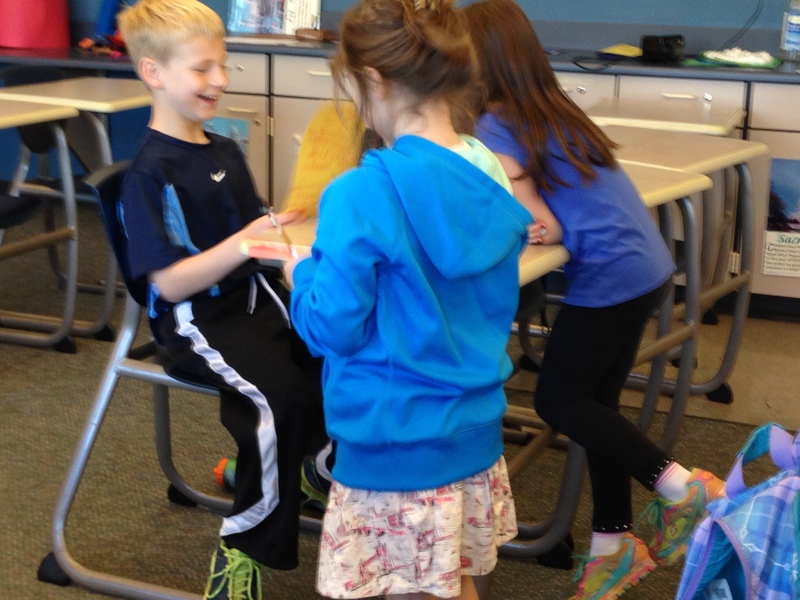 To end the week, we visited Greece, where we discussed the Olympics and Greek mythology. 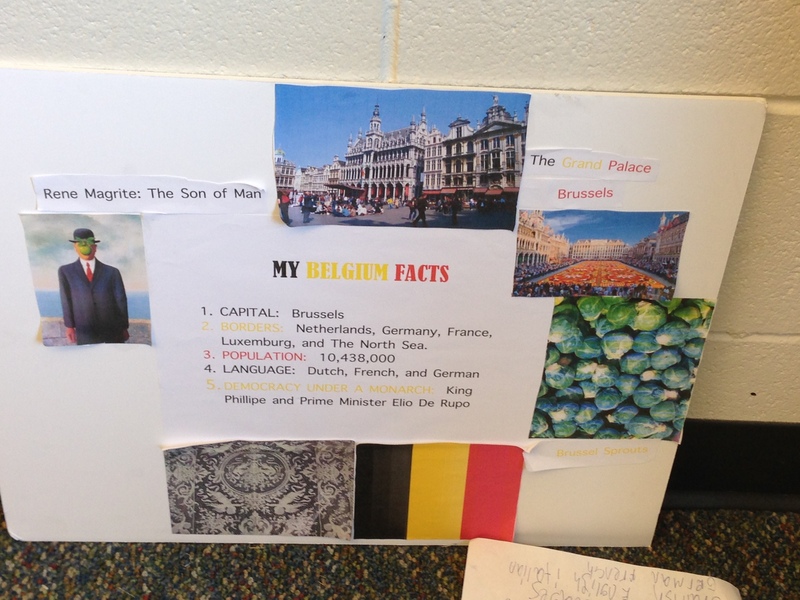 Students then wrote their own myths. It was a very fun week for both the students and myself. 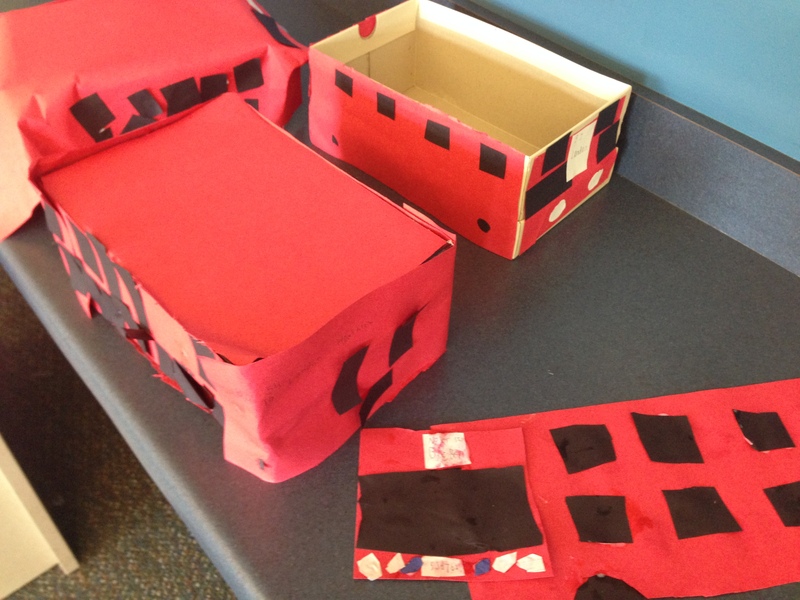 It is a great reminder of how creative and imaginative students are. That is an art I don’t want to get lost.